You’re invited! 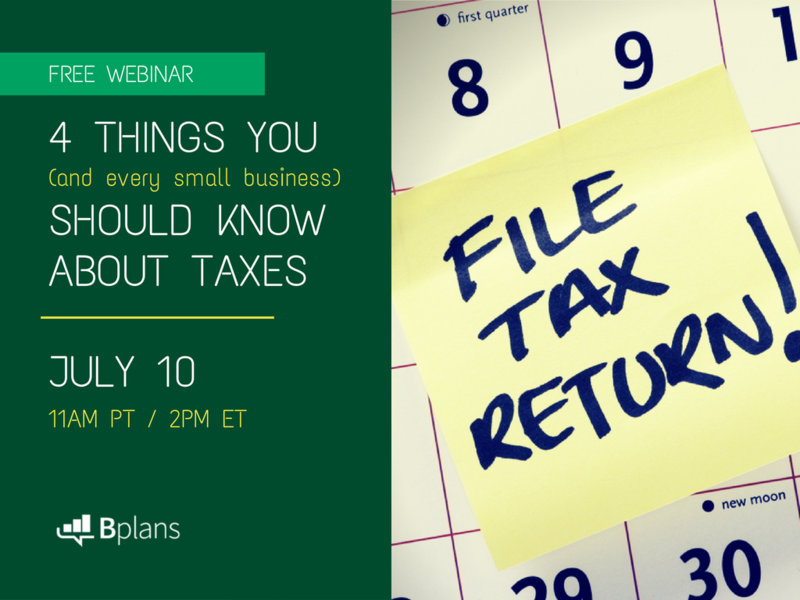 Tomorrow (July 10) our friends from TaxAlli.com will also be hosting a FREE webinar with Bplans.com. There’s less than 24 hours left to register. Click here to RSVP! Click here to sign up for next week’s #LivePlanChat. We’ll send you an email reminder and let you know about upcoming chats.